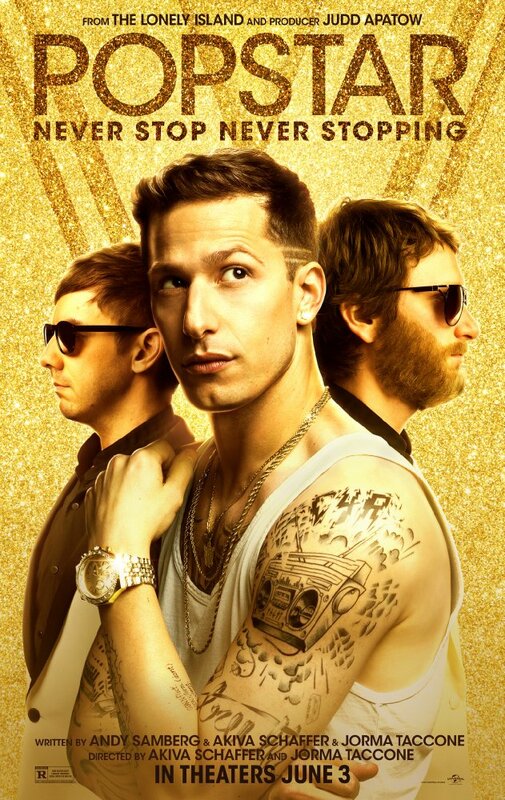 Comedy trio The Lonely Island, perhaps best known for their slew of uproarious SNL digital shorts, reenter the film industry with the aim to deface the music business. That’s all Popstar: Never Stop Never Stopping really wants to accomplish. To poke fun and rib on the likes our of most egocentric stars. However, through a structured mockumentary format and erratic plotting, the movie feels a lot more like a staged VH1: Behind the Music segment than an actual film. By being so outlandish and musically unfocused, Popstar merely provides the backup vocals and sporadic chuckles to the leading voices in this niche genre. Spinal Tap this is not. Conner (Andy Samberg), now rebranded in a solo career as Conner4Real, is one of the world’s biggest music icons. Part Kanye with his theatrics and self-importance, a reflection of Bieber’s Peter Pan personality. Previously of the influential 3 man hip hop group “The Style Boys”, Conner decided to jump ship and ride his own tricked out yacht to stardom. Longtime friend Owen (Jorma Taccone) follows aboard as a glorified DJ who presses play on an iPod. Lawrence (Akiva Schaffer) leaves to start a farm after Conner refuses song credentials. Right there is the heart of the movie; an extended bromance torn apart before bent knee reconciliation. That’s why I was disappointed to find them all so uninteresting, and that the spotty film is so damn soporific for 86 wearisome minutes. Despite their lengthy and impressive track record for breakout comedic tunes, The Lonely Island’s music sort of falls by the wayside here. Most songs just rattle off random words to a beat, jabbing the brainless lyrics of Hot 100 radio without subverting them to become memorable or catchy. The subtitle of the film – Never Stop Never Stopping – directs attention to Conner’s fated downfall captured by camera crews. He wants to rise back to fame, which gets old faster than Robin Williams’ character in Jack. We anticipate a fall and an injury because it doesn’t warm up before sprinting towards commentary. Additionally, the low-level quality of the jokes only tacks on more insults. I’d argue Popstar would’ve been a hit in the 90’s, and that it is entirely undone by the absurdity of the present’s unquenchable media storm. Surprise album releases, music forced onto devices, televised weddings. The film mocks and it spoofs the insanity but never feels distanced enough from reality to earn its buffoonery. This has been done better some years ago, especially by the ’93 film Fear of a Black Hat. That movie made sure to tell a colorful and informative story first before sprinkling in the humor. Contrarily, Popstar is all joke and all play, a juvenile and self-penned testimony to greatness while simultaneously missing the expected smarts from the key players to impart a subtle or sharp meaning. There’s a deep irony to mocking things you think aren’t good when your finished product is not all that much better. Was very surprised with this one. 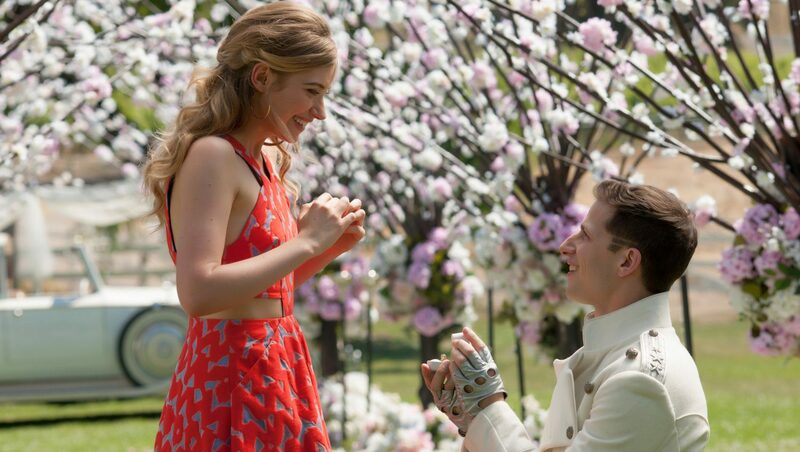 I actually think it is the funniest pure comedy of the year (I throw The Nice Guys in as a comedy-action). But, to each their own in comedy.